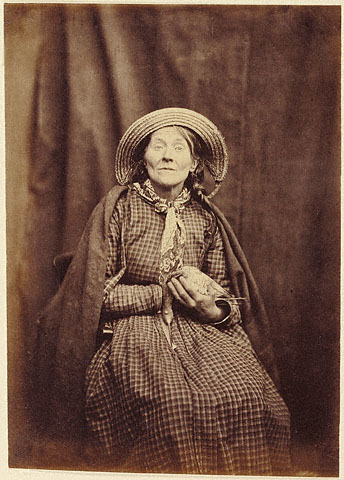 On the Application of Photography to the Physiognomic and Mental Phenomena of Insanity. Read before the Royal Society, May 22, 1856. Sander L. Gilman, The Face of Madness. New York: Brunner/Mazel 1976; pp. 17-24. An Asylum on a large scale supplies instances of delirium with raving fury and spitefulness, or delirium accompanied with an appearance of gaiety and pleasure in some cases, and with constant dejection and despondency in others, or imbecility of all the faculties, with a stupid look and general weakness, and the Photographer catches in a moment the permanent cloud, or the passing storm or sunshine of the soul, and thus enables the metaphysician to witness and trace out the connexion between the visible and invisible in one important branch of his researches into the Philosophy of the human mind. The enclosed pray do not look at as photographs critically but such as they are, they are most accurate & useful. Sir A Morrison’s delineations of the insane instead of being truthful are perfect characatures. With over 100 plates of artists' drawings, Morison's 1838 edition of The Physiognomy of Mental Diseases was a lavish production that showcased the sweep of positivism in psychiatry which began with Philippe Pinel and his protege, Jean Etienne Esquirol, at the Salpêtrière in Paris after the turn of the century. In 1838 Esquirol also published an atlas which he titled, Des maladies mentales considérées sous le rapport médical, hygiénique et médico-légal and which was equally expansive, comprising 27 plates engraved by Tardieu. It is also notable that 1838 was the year both men were honored for their work in establishing asylums and procedures for the humane treatment of the insane, Morison with a knighthood and Esquirol with the codification of his reforms (Law of 1838). — Photography, as is evident from the portraits which illustrate this paper, confirms and extends this description, and that to such a degree as warrants the conclusion that the permanent records thus furnished are at once the most concise and the most comprehensive. A Diamond atlas would have been a remarkable event in the history of photography and medicine. Gernsheim refers to a portfolio that he published in 1852 in parts but is now lost. However, its shape can be imagined from an 1858 work written by John Conolly for The Medical Times and Gazette and republished by Sander Gilman along with reproductions both of Diamond's photographs and of the lithographic drawings of the photos which Conolly used to illustrate his articles. Conolly titled his series Case Studies from The Physiognomy of Insanity, and it is reasonable to assume that he is referring specifically to the lost portfolio, both the images and text. How much Conolly borrowed from Diamond beyond the use of the photographs is unclear, he stints with only one line of credit even though he is obviously drawing from Diamond's records. 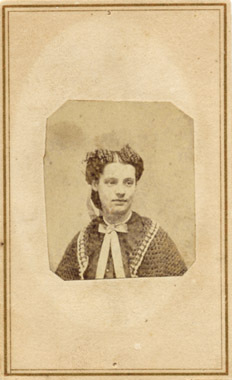 Examples of Hugh Diamond calotypes are extremely rare. Perhaps his strongest image illustrates the cover of The Face of Madness showing an old woman holding a bird. This image is owned by the Getty and can be viewed by clicking here »».